So much has changed in the past few years of underwater photo and video, with new cameras that may cause you to rethink everything you thought you knew about photo and video gear. Get up to speed on the pros and cons of each camera system and the optimal configurations. Learn the lenses, strobes, and other accessories needed to get the best results. If youre contemplating your next camera system this is a great way to get hands on with a number of different systems to find the right one for your needs. You may be surprised at whats out there! Due to limited space and expected high demand we are taking deposits to reserve a guaranteed spot in these classes, which are Fully Refundable upon attending. Drop ins without reservations can only be accepted on a space available basis. 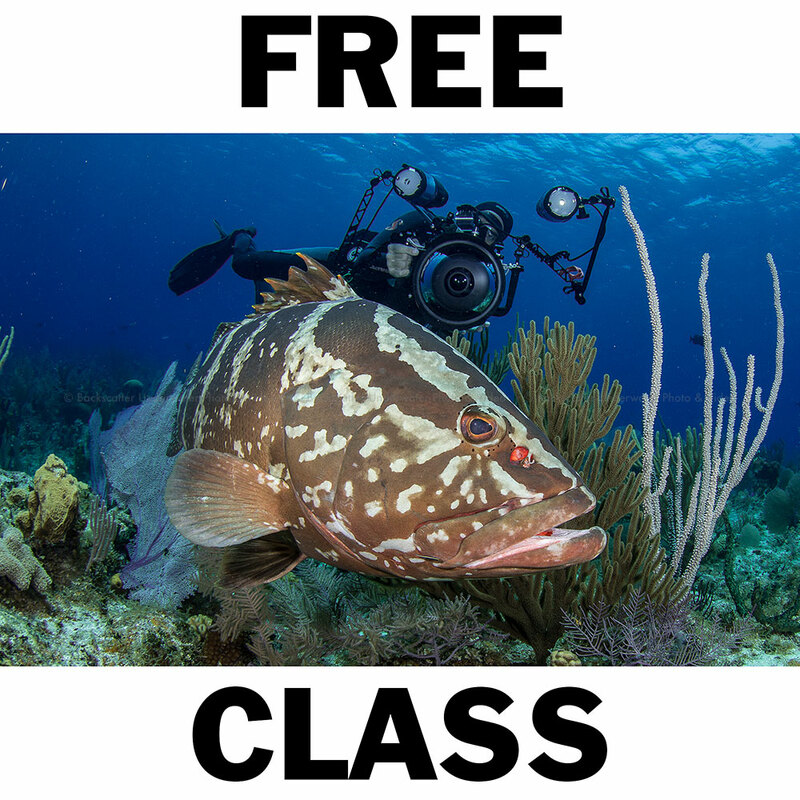 Join us at Backscatter in Monterey on March 21 for a day of free classes. We have three sessions each about an hour long with a Q&A session to get you get up to speed on the latest gear, shooting technique, and post processing skills in underwater photography. Attend only 1 session, or all for a full day. Have questions about gear setup or shooting technique? Our staff of imaging experts will be on hand to help. Bring your gear for a free assessment on setup or have 5 images you would like to have advice on for shooting technique. Coming from out of town and need a hotel? Backscatter has arranged for discounted rates with the Cannery Row Inn, only steps from Backscatter. Located across the street from Montereys most popular beach dive and only a few blocks to the Monterey Aquarium, Backscatter and the Cannery Row Inn are located in the heart of the Cannery Row district in Monterey. When booking, mention discount code BACKSCATTER. Wide angle photography doesnt need to be complicated or difficult. Many new shooters struggle with wide angle photo because there are many elements needed to pull off a good shot. Learn simple composition and exposure techniques to take your wide angle to the next level and how to deal with foreground and background subjects, composition, focusing tricks, and strobe positioning. One of the most difficult skills to master in underwater photography is lighting. We all have shots where everything is just right in the picture, except for the placement of the strobes. Learn how to use the Graduated and Radial Filters in Lightroom to help adjust not just the intensity, but the actual placement of light in your image.